The paper, the borders around the photo, and the flower/brad are all from a kit I bought at Disney World. The pawprints and the title are cut from the Mickey and Friends cartridge. The heart is outlined with Christmas Red stickles. The white Mickey's and Mickey heads are cut from punches that I also bought at Disney World. Journalling: "Pluto was the first Disney character that I met. As we were leaving the Magic Kingdom we spotted him near the exit. 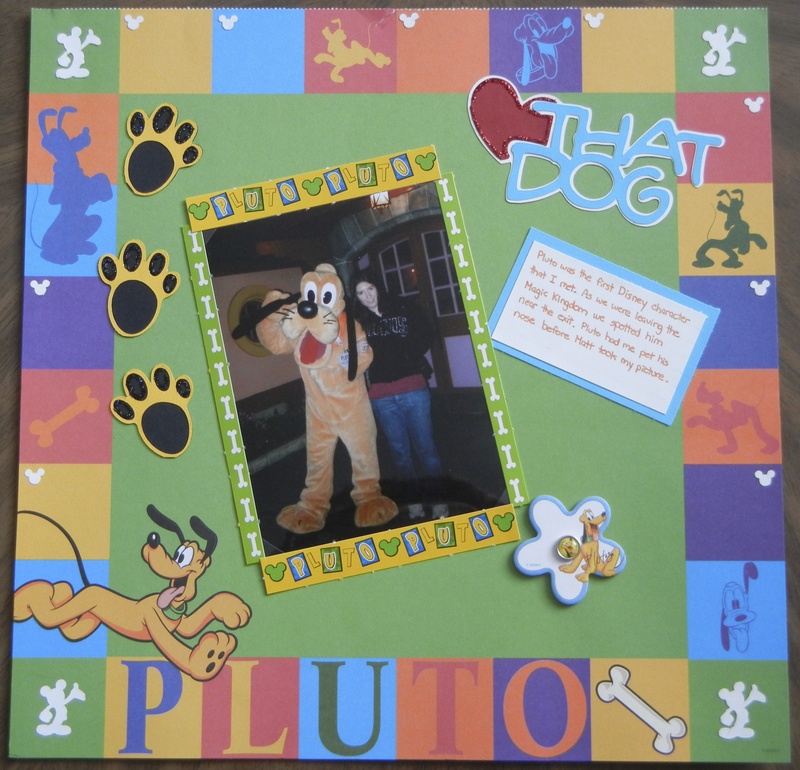 Pluto had me pet his nose before Matt took my picture."